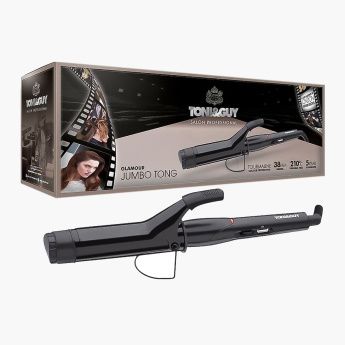 Whether its ultimate volume, bouncy waves or jumbo curls, this high shine tong delivers you style worthy of the catwalk. Designed to protect your hair and colour with the tourmaline coated barrel, its unique technology is developed to enhance shine, smooth hair follicles and lock in colour as you style. Technology : Tourmaline colour lock technology. Auto shut off.